Stone Sports Management LLC (“SSM”) announces Toronto FC’s transfer and signing of former Jacksonville Armada Goalkeeper Caleb Patterson-Sewell to a 1-year deal with MLS options. The 30-year-old American-Australian makes his return to MLS with the 2017 MLS treble-winning side coached by Greg Vanney. Patterson-Sewell’s recent form over the last 18 months, keeping 17 cleans-sheets out of 38 games between the Armada and Portuguese side Farense, proved FourFourTwo’s prediction he would be one of seven NASL players to transfer to MLS for the 2018 season. The 6’ 3” Patterson-Sewell joins Alex Bono and Clint Irwin as one of MLS’s most experienced goalkeeping corps and will be working with Toronto FC’s Goalkeeping Coach Jon Conway. With Toronto FC involved in the CONCACAF Champions League knock-out rounds that begin later this month, there will be no shortage of games between that competition, the MLS Regular Season and the Canadian Championship. 2017 was Patterson-Sewell’s full season between the pipes in North America since the 2010 season with Miami FC. Patterson-Sewell rose to the occasion breaking the Armada’s clean-sheet record (10) and claimed NASL's third best GAA (1.11). 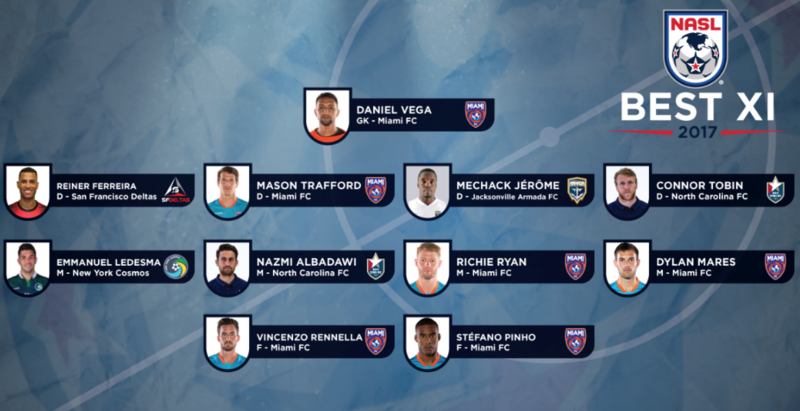 The NASL honored his consistent play with 6 out of 32 Team of the Week Honors. Patterson-Sewell’s first MLS stint occurred in 2008 with the New York Red Bulls having signed there following his professoinal debut season with the Cleveland City Stars in 2009. He would feature in a friendly against FC Barcelona where he had a standout performance against some of the world’s best and was on the bench for the 2008 MLS Cup Final. Having played at every North American level, Patterson-Sewell made the jump abroad signing with Portuguese club Atletico Club de Portugal in summer 2011. 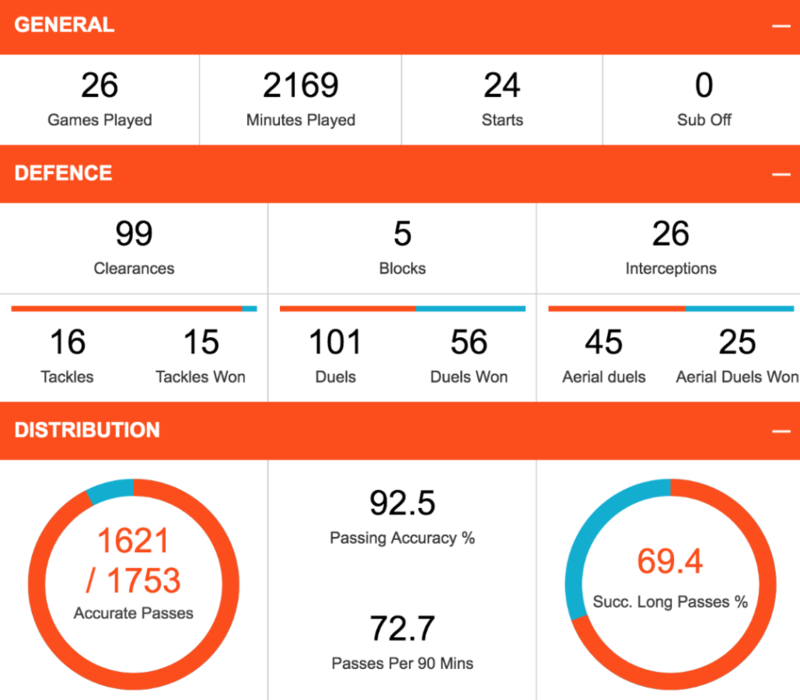 Patterson-Sewell would emerge as a Liga Honra Goalkeeper of the Year Finalist having played every minute and led league with the best Goals Against Average. His strong player in Portugal gained him promotion to the Portuguese Superliga where he played with Vitoria Setubal (2012-13) and Gil Vicente (2013-15) before a brief return to North America with Rayo OKC. After leaving due to Rayo’s dire financial situation, Patterson-Sewell signed with Farense SC until signing two years with the Armada in February 2017. Patterson-Sewell is a Nashville, Tennessee native and his decade-plus professional career helped him established CPS Soccer Academy, one of the region’s top developmental academies. This year’s annual camp takes place June 18-21st with special guest professional players and coaches. Visit www.cpssocceradacdemy.com for more information. Click HERE to watch Caleb’s 2017 Jacksonville Armada Highlights and make sure to follow Caleb on Twitter: @CalebPatterson Congratulations to Caleb Patterson-Sewell and make sure to follow him this season in Toronto by clicking Toronto FC’s schedule HERE. From developmental to Designated Players, Stone Sports Management, LLC is a Columbus, Ohio based boutique agency representing football/soccer players domestically and internationally. Led by President and USSF Licensed Intermediary Justin B. Stone, SSM has established itself as a leading North American agency since its 2008 inception by taking a cooperative approach to athlete representation, which provides increased opportunities for its clients. After gaining trust from clients representing over 75 different nationalities, Mr. Stone has negotiated more than 150 contracts for his clients with clubs based in Belgium, Canada, China, Cyprus, Egypt, Finland, Germany, Hungary, Ireland, Israel, New Zealand, Poland, Portugal, Sweden, Switzerland, Thailand, and the United States, including more than 20 international clients to MLS/NASL/USL. 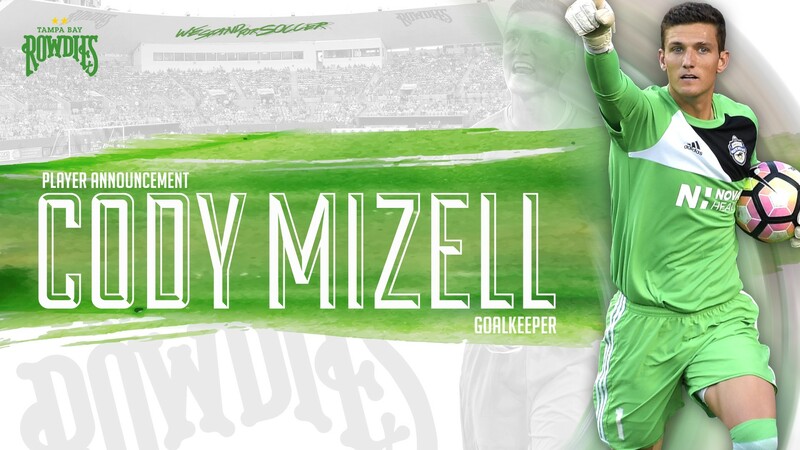 Stone Sports Management ("SSM") announces the Tampa Bay Rowdies’ signing of Goalkeeper Cody Mizell to a 1-year contract for the 2018 season with a 1-year option. The 26-year-old American returns to the Rowdies coming off his best professional season backstopping the Charlotte Independence, as the the USL honored him as a 2017 Goalkeeper of the Year Finalist. Mizell’s development after his first Rowdies stint between 2014-15 is evident in his 63 games played as a starting Goalkeeper as well as his play leading to a loan stint with MLS’ Colorado Rapids in early 2017. Mizell appeared on the bench replacing an injured Tim Howard one match before Charlotte recalled their #1 Goalkeeper. In 2017, Mizell recorded 90 saves and 5 clean sheets in 32 League and Playoff appearances, won or nominated for USL Save of the Week seven times and earned Team of the Week twice and a June USL Player of the Month Finalist (17 saves, 0.79 GAA and a perfect 18-18 on GK Interception over 5 games). Mizell replaces Rowdies’ legend Matt Pickens who played over 100 games and whom Mizell backed up during his initial Tampa Bay stint where Mizell used a European Release clause to sign abroad with Iceland club Knattspyrnufelagid Fram. He emerged as Fram’s starter and earned the league’s Best XI Award. Mizell would return to the States to sign with the Charlotte Independence where he showcased his skillsets: acrobatic, world-class saves, overall positive attitude and positioning while controlling the game with his feet out of the back. “We set a modern-era club record in 2017, posting 14 clean sheets, but we know we can’t rest on what we accomplished. Cody will be a great addition to this club as we look to build on 2017’s success,” said Rowdies Chairman & CEO Bill Edwards. Not only did Mason excel in NASL league play but also had strong performances in the US Open Cup against Atlanta United, Orlando City SC and FC Cincinnati. "This is a great honor for Mason to be recognized as the league's best left footed central defender and caps off his consistent, strong play over the last four years in NASL," reflected SSM's President and USSF Licensed Intermediary Justin B. Stone. "Miami FC set new NASL records playing an attractive playing style, and Mason's abilities helped the team accomplish most of its goals in 2017." Congrats once again to Mason for his NASL Best XI selection and championships this season! Enjoy the montage NASL produced for its NASL Best XI (Mason appears at 0:48)! Minnesota United FC Outside Back Jerome Thiesson above gives his speech accepting the Dark Clouds Newcomer of the Year Award. The Dark Clouds are one of Minnesota United's most recognized supporter groups and have held the End of the Year Awards for the last fourteen years. Thiesson joined Minnesota right as the season started for its inaugural MLS season and developed into a fan-favorite and most reliable player starting in all 33 games eligible and led the club and in minutes played with 2955 minutes. He also had a memorable "Loon Celebration" after scoring his first MLS goal, capped off another Golaso in the last game of the year and was part of a series called "Jerry's Thoughts." Soccer America recognized Thiesson as the 5th best right back in MLS for the 2017 Season. It was a big year off the field for Jerome and his wife Ivana as well by welcoming their first child Jago in July. Congrats Jerome on this recognition and looking forward to seeing you in 2018! Follow Jerome on Twitter at @J_Thiesson. Stone Sports Management congratulates James Musa for capping off a special 2017 season with the Swope Park Rangers MVP Award. 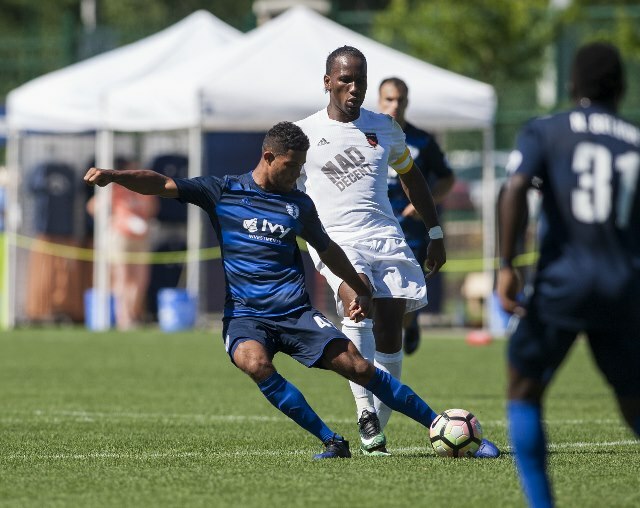 As a team leader, Musa, led the Ranger’s to a 4th place finish in the USL’s Western Conference regular season and embarks on its attempt to better its 2nd place Playoff finish last year. Musa signed with Swope Park Rangers after two seasons with Saint Louis FC with the goal of developing throughout the year and integrating into the Sporting KC structure, which he accomplished when Sporting KC promoted him to its first team. Musa would make his MLS debut a day later against the Seattle Sounders starting and going the distance, leading all players with 68 successful passes. Musa also returned to the International Stage, as New Zealand Head Coach Anthony Hudson called up Musa to play for his National team for the first time since 2015. Musa featured in the all-important Oceania World Cup Qualifiers against the Solomon Islands helping them advance with a win and tie. Congratulations again to James Musa on this award and all the best in the MLS and USL Playoffs! Stone Sports Management congratulates Atlanta United FC Midfielder Kevin Kratz for winning the AT&T Goal of the Week (28) for his clinicial Free Kick goal against the New England Revolution. As Tata Martino's first-choice free kick taker, Kratz stepped up and buried his free kick opportunity, approximately 10 yards outside the box, up and over the wall, beating Revolution Goalkeeper Cody Cropper with pace and accuracy. It was Atlanta United's 5th goal of the evening and would go on to win 7-0. MLS fans around the continent chose Kratz's goal (which can be seen below at 1:13 and slow-motion viewing HERE) with 47 percent of the vote. Kratz's free kick capabilities came as no surprise to his coaches and teammates. With Kratz scoring in the US Open Cup earlier in the season, his first MLS goal will be memorable after showcasing his talents in front of Atlanta's record-breaking attendance and new Mercedes-Benz stadium's first Free Kick Goal. Check out an Atlanta United Fan's video behind the goal as well as his first half of the season's highlights. Congrats again to Kevin and wishes him well well for the remaining league matches and to clinch a playoff berth! Stone Sports Management congratulates Cincinnati FC Defender Tyler Polak for his USL Team of the Week (23) bench selection. Tyler helped Cincinnati to a 3-1 win over Ottawa Fury FC. Polak started off hot assisting on Dani Konig's opening goal off a cross in the 34th minute. Tyler returned to the starting line-up after suffering a foot injury from a poor tackle from behind and delivered team-high 8 crosses and recorded an 84 percent passing accuracy on the night. 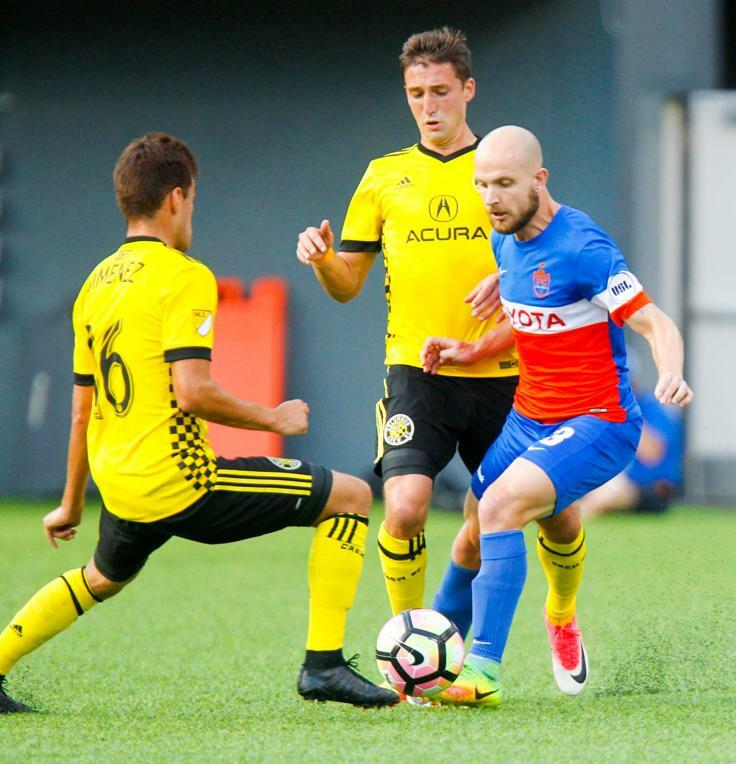 Although not credited for an assist, his free-kick service led to FC Cincinnati's third goal. Check out highlights below.